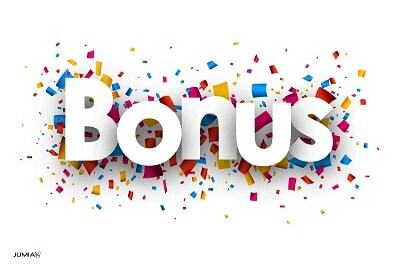 Good news to jumia affiliate partners as they recently introduced daily bonus and double commission promo designed to reward and encourage their affiliate marketers to work harder to earn more. Sometimes I used to wonder why Jumia and Konga don't offer double reward and bonuses when you sell more product just like other international affiliate marketing providers but I was surprised and happy when I got the news of this new Jumia daily bonus and double commission offer. With this, you are encouraged to work harder for more rewards and if you need to earn extra cash from your usual earning then this will be the right time to start working hard and advertising jumia product and services. How does jumia Affiliate daily bonus and double commission works? Nice question, am sure you can't wait to know how you can get daily commission and as well double your earnings but the good news is that I have the answer to your question because am equally one of Jumia affiliate partners and they informed me about this promo and t goes this way. How it works: Top ten affiliates with the highest orders at the end of each day will get an extra 5% bonus on their commission on those orders. To qualify, You need to get at least 30 Orders per day. Well, this is good news for those affiliate marketers who sell up to 30 products per day because I must confess it will not be easy to attain such hight but if you do, congrats. How it works: Affiliates who have made less than ₦2,300 in commissions this January, will get double commissions on all confirmed orders, from now till the end of the month, amazing right? The Daily Orders Challenge was a huge task and also designed for super jumia affiliate partners who sell lots of product per day but on the other hand, those who are starting now still have something to hold on to as they got the chance to double their earning when they make less than ₦2,300 in commissions this January. The offer starts now and ends on the 31st of January, Winners will be announced daily. **Only affiliates who have earned less than ₦2,300 in commissions in January are eligible for the double commissions challenge. Finally, I don't think this will be good news for middle-class affiliate partners, mean those who earned more than ₦2,300 in commissions this January per month and yet doesn't sell upto 30 product per day.